The German weekly newspaper Die Zeit disclosed documents that reveal how the German Intelligence did a deal with the NSA to get the access to the surveillance platform XKeyscore. Internal documents show that Germany’s domestic intelligence agency, the Federal Office for the Protection of the Constitution (BfV), received the software program XKeyscore from the NSA in return of data from Germany. 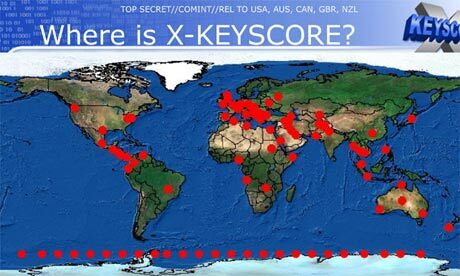 Xkeyscore allows the NSA to read the content of encrypt emails and it also enables the intelligence analysts to trace the user’s activities on internet through a system dubbed XKeyscore. Back in 2o11, the NSA demonstrated the capabilities of the XKeyscore platform of the BfV - (Bundesamtes für Verfassungsschutz) agency. After two years of negotiation, the BfV signed an agreement to receive the NSA spyware software and install it for analyzing data collected on German citizens. In return, the German Agency promised to share data of german citizen. The NSA tool collects ‘everything a user does on the internet’, The surveillance software is powerful enough to be able to obtain up more than 20 Terabytes of data daily, including emails, chats, social media interactions, and even browsing histories all in real-time without bothering the need of any warrant. According to Die Zeit, the document “Terms of Reference” stated: “The BfV will: To the maximum extent possible share all data relevant to NSA’s mission”. The BfV didn’t provide the details of the agreement to Germany’s data protection commissioner, nor it informed the Parliamentary Control Panel. The report highlights that BfV is not allowed to set up a mass surveillance activity, differently from the BND, instead it can spy suspect individuals. The agreement with the NSA doesn’t allow BfV to spy on American individuals. The collaboration between the German Intelligence and the NSA is not new, in April, it was reported that the BND agency had helped the NSA spy on the European Commission and French government with the support of the Deutsche Telekom.